Nedyne, thank you for stopping by today. 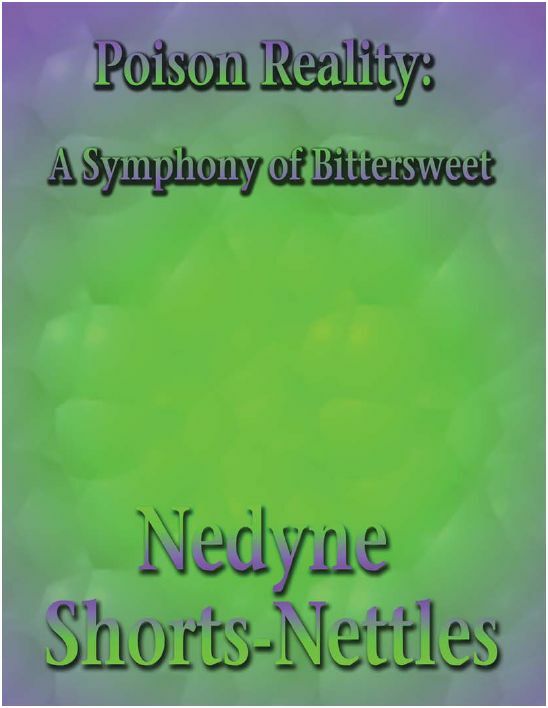 Poison Reality: A Symphony of Bittersweet is my first published book. It's a suspense novel written in the format of a soap involving a host of characters protraying real life. Three friends meet under sad circumstances and learn that everything isn't about them. Vierna one of the main characters finds herself after giving her husband a divorce. Watching soaps and reading books that I felt were missing the reality of life. I am a psychology major so I do a lot of people watching. I study their characteristics and I listen to their plights. I was very surprised that people identified with different things in the book and their comments gave me a new perspective on some of the characters. I would do a lot more character development. I am in the process of working on the sequel. I have always heard that I had a gift for writing but only after I became a published author have I allowed myself this great title. I do not write full time, am a nurse, a mother, a wife, and a full time college student. I enjoy writing so it is a fun pastime. I just want people to know that you should write because you love it and not because you plan to make money off of it. Watch movies read books and blog on Facebook. Watching people and finding ways to incorporate their character into stories. I learned that even though you wrote the book you can always learn more about its character from the reader. My Web site, and the book's Web site. My most favorite author in this genre would be Maeve Binchy because her books read like mine. She wrote Tara Road. Thank you for your time, Nedyne. Have fun with the rest of the virtual book tour! My next guest for the virtual book tour is May 7, Fiona Ingram. 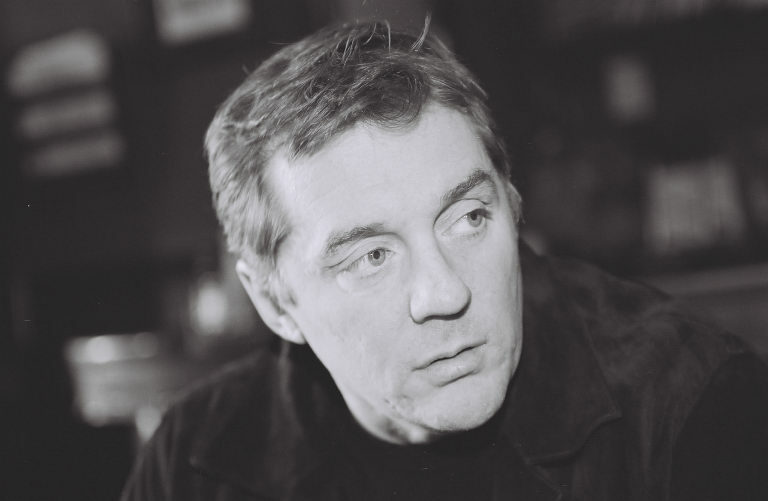 The Writer's Chatroom presents Mike Atkinson. Today, Reviews and Interviews welcomes James C. Wallace II. He is touring with BK Walker's Authors Promoting Authors virtual book tour. Their full schedule is here. 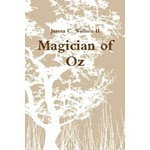 My current release is Magician of Oz. Life in Indiana was quite the adventure for young Jamie Diggs and his parents. After a tumultuous move from Kansas, Jamie explores the covered bridges, forests and cemeteries of rural Indiana where he discovers the ways of the Hoosiers. When his parents bring up an old humpback trunk from their basement, Jamie discovers his magical heritage lurking inside. Jamie learns the ways of magic from a local magic club, meets Tree-In-The-Road, gathers Morel mushrooms for his mother's legendary potato soup and discovers his great grandfather, the original Wizard of Oz's sentry stone. He soon finds himself transported to the Land of Oz where he must face the wrath of the Fighting Trees who have grown bitter after their defeat at the hands of the Tin Woodman so long ago. In this compelling tale of fantasy and adventure in the Land of Oz, the young magician discovers new friends along the way, conquers his fears and battles the oncoming wave of trees and mushrooms alongside Dorothy and Toto. I found myself at the end of the day sitting in my car in the parking lot shaking with remorse and resolving to do something about what I had just witnessed. I then spent the next year in various teachers’ lounges having lunch with teachers and trying to understand how they could allow a child to go through school without mastering the art of reading. Only in the last few years has the Harry Potter effect taken hold and inspired kids to pick up the traditional book and immerse themselves in another world. Despite this momentary reawakening, most kids still reach for the cell phone and communicate with their thumbs. Most kids would have trouble taking the time to sit down with a good book and giving themselves over to the realm of fantasy. They prefer the instant gratification that comes with a world overflowing with technology. Currently, I am about to celebrate the release of Volume Two in the Royal Magician of Oz Trilogy; Shadow Demon of Oz. Following the release of Shadow Demon of Oz on or about May 1st, I will continue working on the final leg of this most incredible journey, Family of Oz. It will bring together all the elements spoken of in books 1 and 2 and weave them together into a tale of family, love and friendship, both in and out of the Land of Oz. I have been a writer nearly my entire life. Although I started out early and wrote the usual childhood stuff, such as poems, short stories about home life and the like, it was at about 14 years of age when I discovered that I was a talented writer of science and technical material. I began writing about astronomy and soon became a published tech author. My earliest published work was in several NASA journals and I had thought that I would focus on that realm of writing. However, over the years, life has taken me in a slightly different direction and now I have found that promoting youth literacy and writing children’s stories equally as rewarding as writing about Dust Ring Formation from Jovian Cometary Impacts or Holographich Speckle-Interferometry Application is Musical Acoustics. I am not a full-time writer, although on some days, I feel like it, what with the writing and the typing and the things… Hey lady…! Oy..! Moiven! Pardon me there… I was channeling Jerry Lewis for a moment. As I was saying, I currently teach Weather & Climate at a local community college, so education is the driving force in my life. As such, writing stories of Oz requires that I find a time and place where Oz can take over and flow. In order for the Ozian muse to strike, I normally set aside a 3-4 hour daily block of time usually around midnight or so. It's quiet, calm and I can be alone with my thoughts. However, that only happens when the muse strikes and I can devote myself to the 30 days or so it takes me to write the entire book. Once I start, I don’t stop ‘till “THE END” shows up on my screen. For me, it is the fact that I write in a frenzied state-of-mind, preferring to write a chapter a night and finishing a book in a month. For most, that is not a realistic way of writing, but for me, that is the only way of writing. As I’ve said before, once I start writing, get outta my way! From the age of 8, I have always had a desire to be an astronomer. Over the years, I’ve managed to make that dream come true and, although I teach Weather & Climate, I remain an astronomer and will be one the rest of my life. My only advice to readers, be it young or old alike, is to read. Do it often and with as much enthusiasm as possible. If you have young children, read to them. Do it daily and read from a wide variety of styles and genres. Encourage them to read on their own and to write. Children learn from our examples and if we shunt them off to the television or the computer screen, we lose that desire to express ourselves. Every child has a story within themselves and if we are not careful, that story will be lost. My blog is a great place to start. Thank you for being a guest today, James. Best of luck with the virtual book tour and your Oz books! 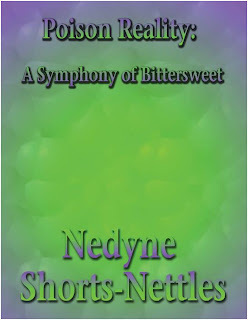 My next guest for the virtual book tour will be April 26, Nedyne Shorts Nettles. The Writer's Chatroom presents Michael Harvey. 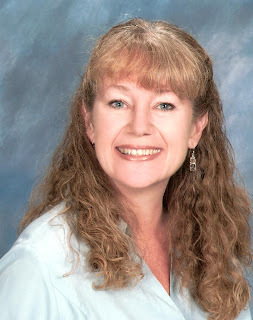 Today, Reviews and Interviews welcomes Lillian Brummet back. This time she is touring with BK Walker's Authors Promoting Authors virtual book tour. Their full schedule is here. Lillian, welcome back. A few more questions for you about your writing and your writing life with husband/co-author, Dave. I have been finding comfort with a pen since I can remember. My earliest memories go back to elementary school where I brought teachers to tears with some of my short stories, won awards, and was encouraged to pursue writing. In high school, English was the one class that inspired me to keep returning to class, despite the fact that I was on my own at 13.5 years old, was holding down jobs and paying rent. It wasn’t long before the growing gap between myself and the world my peers lived in became too apparent and difficult for me to deal with, and I left school. In my 20’s I earned a university level of grade 12 (with the advanced courses) – but despite this gap in education, a pen could often be found in my hand along with shoeboxes stuffed full of scraps of paper. What advice would you give to someone who is interested in writing? Sadly, many people see the world of writing as a career of leisure – which is actually opposite to the truth. For one thing, writing is a creative process and like any artist, writers need the time and energy to craft their work. This can include brainstorming sessions, research, and learning new writing skills. Any interruption can disrupt the creative process and this can be detrimental to writers. Time is consumed by office work from book keeping to recording our efforts and results. So as a self-employed person, a writer is actually putting in many more hours than the regular 9-to-5 career demands. Book promotion leads to interviews that can be held at virtually any time of the day. For instance, imagine, that I have an interview booked that airs live at 6 am Atlantic time; this would actually be 1 AM in my time zone, which is Pacific. Finding a delicate way to create space for yourself and get those around you to understand that you are not available for their needs can be difficult. We actually lost some friends over having to be so strict about them coming by at their convenience. Occasionally, we still struggle over small issues in the house when something needs to be done and it is assumed that because one of us is in the office that day we would have the convenient time line to do the chores. I encourage new writers to seriously consider how they will handle these issues and discuss them well ahead of time with those that may be affected. Another misconception that often lives in the minds of authors is that they think once their book is written, the work ends there and the royalty cheques will just come pouring in. Again, this is far from the truth. In fact, once the book is actually accepted by the publisher, goes through the editing and proofing processes and is released to the public, the authors’ work has just begun. As much as 80% of an author’s time is for marketing purposes alone; and marketing plans should begin several months prior to the release of a book. For writers, there is a lot of preparation and research involved for each plan of action… and this is something any author or freelance writer should be ready to face. Can you tell us what editors typically look for in a query letter or project proposal? Editors want to see that you have done your research, that you really understand their focus, who their readers and advertisers are, that you are aware of the various departments and have taken the time to make sure that your query is received in the right hands and at the right time. Many new writers are not aware that editors work with schedules up to 9 months in advance – so if you want coverage for Earth Day 2010, for instance – you are too late! What have you learned about working with your spouse (co-writer)? Compromise and courtesy are two tools we employ regularly. We shared one computer, one office for the first 10 years of our careers as authors. Luckily, I am a morning person – Dave is an evening guy, and as such we are able to find a balance. Just recently we were finally able to afford a second computer and we are excited about the potential for increased productivity. Discovering each other’s strengths and working with those, rather than expecting each other to be able to have skills in all areas – this is a really big thing for couples. My advice for any couple is to stop with the expectations, create a list of to-do’s and have a meeting to arrange a priority list. Once you’ve got the items of the day, or week, lined out in an orderly fashion you can split off and do the work. More often than not one person will be really good at graphics, while another person is good at website maintenance; or one person is better at research, while the other is better at proof-reading. So accept that and outsource where you can. What are some of your favorite writers’ resources? My favorite writer’s resources include Rose & Thorne, Writer’s Gazette, Writer 2 Writer, Book Hitch, Funds for Writers, John Kremer’s Book Marketing, Book Marketing Experts, World Wide Freelance, Marketing Guys & Gals, Writer’s in the Sky, Smart Writers Newsletter, Book Crossing & the Savvy Bookmarketer. I encourage your readers to search these helpful resources on their favorite Internet browser. I love to just read, or work in the yard and garden. My joys are to be in nature, spending time with my fur companions (2 rescued dogs, and my husband – lol - ), and doing exercises like drumming, walking… Dave and I get out every weekend to do hiking, snowshoeing, mountain biking or canoeing in the pristine Kootenay/Boundary mountains of BC (Canada). While we are out there we try to pull invasive weeds and bring home refuse, where we take the time to sort it into recyclables, reusables (for donation) and garbage. We’ve found everything from broken glass and machinery to expensive sports gear and children’s toys. Where can people find out more about you, Dave, and your books? Our Web site, MySpace, and blog are great places to start. Thank you for your time. Enjoy the tour! The Writer's Chatroom presents Nadia Sahari. 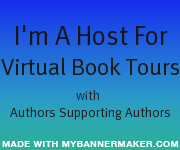 Welcome to Reviews and Interviews first interview with an author from BK Walker Books virtual book tour. Here is a listing of the full schedule. Swimming With Wings is largely a romance, but unlike your typical bodice ripper, or gothic romance, the sexual tension between the characters Lark and Peter is set amidst their coming of age stories in a time when New Age spirituality was just budding. Imagine a town where folk medicine, church non-attendance, and ancestry are as much a marker for discrimination as is race. Set in the 1970’s , a time mired in cults and evangelism, and based on an actual Savannah River town, where the largest U.S. population of Irish Traveler gypsies resides, Swimming with Wings is a soulful romance. It’s about finding a compass amidst the nebulous co-ordinates of spirituality and the pressures of small-town gossip; searching for the lodestone to personal truths in order to come together with a true soul mate against all these odds. Swimming with Wings was written partially in response to my observation of a lack of fiction that addresses new age spirituality, but also because it’s a story I’ve carried around inside of me for a long time. It was spun off of a short story I wrote over twenty years ago and it always would nag at me to be written in novel length. It expresses much of what I myself went through while growing up. Faced with ever-increasing conflicts in a world of religious diversity, I’ve always been a soul searcher. So this novel tells that story of finding spiritual connection in a world constrained by religious dogmas. My research is integrated as I go along in my writing process and sort of happens organically. Though a lot of my work is initially inspired by my own experiences and places I’ve been, the story expands well beyond that as it should, in order to take on a life of its own. As I touch on a subject, such as the Irish Traveler gypsies, or the town of Polignano a Mare in Swimming with Wings, I’ll dig through several sources, books at the library, reports at historical societies or the internet, until I have attained a true handle of the facts. I enjoy this part of writing as it often will spur on a whole new direction in the story and in the end it adds true depth to the novel. I’ve always been one to express myself creatively from the time I was a child. I think visually and paint in acrylics and watercolors and I have been writing from the time I first was able to form letters and words with that big fat green pencil they give you in first grade. I received a very exciting beginning to writing when in second grade I won second place, a beautiful gold watch, in a county-wide writing contest on fire prevention. That meek beginning was the type of encouragement which can be life-altering for children, and in my case, it certainly was. Later I majored in English, even though I had started out as an art major, and all of my real world careers have had me writing in one capacity or another, from exhibit copy for an art museum to advertising copy to medical text editing to promotional media in real estate. My most interesting writing quirk is that I usually write the ending first. The rest is the journey I create to get there. I write in spurts that would be classified as hyper-time or overdrive, rather than what you would term full-time. When I’ve got a story living and breathing inside of me it has to come out, so I’ll sometimes stay up until 4:00 am. This is largely due to the fact that my time is otherwise so compartmentalized. I’m the mother of five children, mostly all grown now, except for my two remaining high school students; I work about 30 hours a week as a Real Estate Assistant; and I paint as well. Both my painting and my writing are a creative outlet that fuels the rest of my life. There really is no regularity to my workday. I’m constantly having to switch gears, but this is something that I’m used to after twenty-one years as a working mother, and I actually embrace this mode now, because otherwise I wouldn’t be able to accommodate the fullness of my life. This is not to say that there is no consistency. While scheduling may be irregular, I think I’ve mastered organization and the ability to role switch very efficiently and thereby maintain continuity within each one, including the content of my creative projects. The most surprising thing that I learned while writing Swimming with Wings, was a synchrony I discovered about myself and Benjamin Paul Akers, the true life sculptor of the Dead Pearl Diver, a statue that takes center stage for Lark, the female character, and her outlook on life. In addition to being a sculptor, he was an art critic for The Atlantic Monthly in the 1860’s and his critical theory was very much in alignment with my own musings about the role of art to the artist, namely that expression is a form of communion with the universe, or what many call God. I found this to be a very progressive, even New Age-like idea for someone in the 1860’s. And I discovered this after I had already written many parts of the story that address this idea. Where can folks learn more about your book? Swimming with Wings, can be purchased at the Web site, where three different venues are linked for their convenience. I will also be doing a live chat on May 27 at 7:30PM EST as part of the tour. Lee, thank you for your time today. Good luck with your book, and have fun on the virtual book tour! My next guest for the tour is April 13, Lillian Brummet. The Writer's Chatroom presents Miralee Ferrell.